If you would rather take tours according to your own pace and interests, we can either find a personal tour guide for you or provide you with maps and brochures for self guided tours. The most potent symbol of the tribal connection between spirituality and sovereignty are South Dakota’s Black Hills, or He Sapa. The Hills – named for their dark silhouettes smudged against the horizon - have long been of spiritual significance to the Lakota Nation. Learn more about the History of the Black Hills from one of our local Lakota tour guides. This land was seventy-five million years in the making (now eroding at the rate of an inch per year) and amid the multi-hued pinnacles and buttes you will explore a barren moonscape, seemingly impervious to life, yet as inhospitable as the corrugated terrain sounds, the Badlands brutality is deceiving. Look with native eyes and you will see Prairie dogs twitch and chatter by their burrows like nervous commuters waiting for a late train, while buzzards, coyotes, hawks and bobcats hope it never arrives. Bighorn Sheep leap precariously over crumbling ledges on cliff walls and mule deer scour crevasses at dusk and dawn. On the mesas, antelope bucks groom themselves for impressionable does and, indifferent to their performances, the buffalo watch them all come and go. This area is known to Lakotas as Maco Sica. 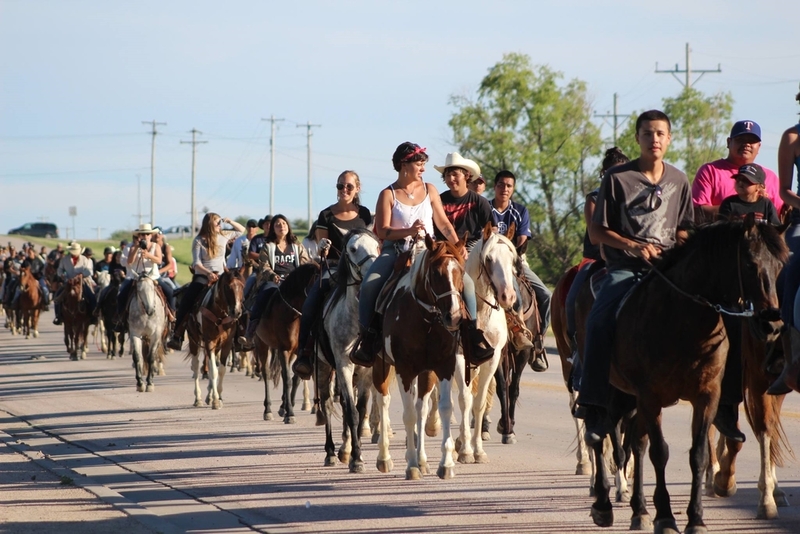 PINE RIDGE RESERVATION (including Wounded Knee, Kili Radio and other historic sights) Travel to Pine Ridge Indian Reservation (Wazí Aháŋhaŋ Oyáŋke in Lakota) and hear in situ the story of the Oglala Lakota people. From rolling hills and prairie terrain to rocky outcrops, Pine Ridge was originally included within the 18 million acre territory of the Great Sioux Reservation, but in 1889, the boundaries were cut by Congress to just 2 million acres, or 3,468 square miles of land. With the Lakota’s sacred He Sapa, the Black Hills in view on the horizon from some edges of the reservation, explore with your Lakota guide who will explain tribal perspectives and lifeways. Visit Kili Radio and find out more about our non-profit radio station broadcasting to the Lakota people on the Pine Ridge, Cheyenne River, and Rosebud Indian Reservations, part of the Great Sioux Nation.